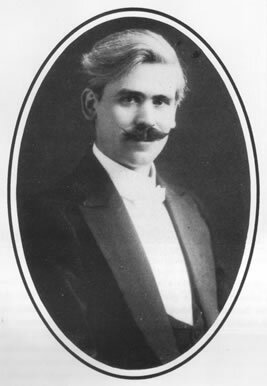 This page was a feature originally from the Gazette newspaper. The feature (complete with artist impression and original adverts), promoted a local construction company who were appointed contractors for the building works. It appeared on page 14 of the August 19th, 1966 edition of the Gazette and proudly described the new renovations and features of 1966 refurbishment, some of which may be familiar to past patrons of Prestatyn’s Scala. 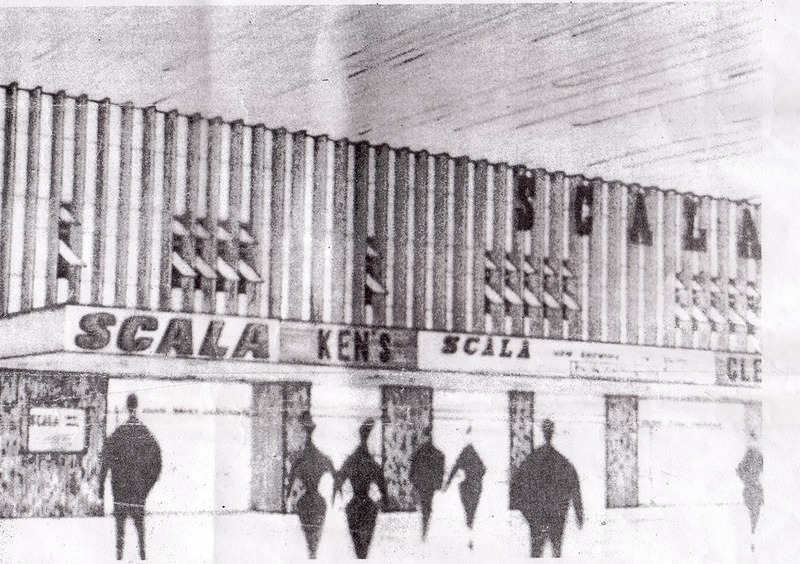 An artist’s impression of the 1966 Scala, originally published in the Gazette newspaper on August 19th, 1966. The first Arts Centre in Wales and the first in Britain to be undertaken by a District Council in conjunction with the Arts Council will be opened on Monday in Prestatyn, with the showing of “One Spy Too Many” in the cinema section of the building which was formerly the Scala Cinema. The Scala is the oldest cinema in North Wales and has been operating continuously since 1906. It was originally a public hall belonging to Mr. Ffoulkes Roberts, a solicitor, who practised at Denbigh. It then passed into the hands of Mr. Saroni and has been a cinema ever since. It was acquired by Prestatyn Council in 1963, together with its adjoining shops and, notwithstanding some discomfort to patrons operated successfully but were mindful that an early improvement to the general amenities was an urgent necessity. The result will be seen after the commemorative opening which, it is hoped, will take place in October (1966). The theatre stage can now boast of the most up-to-date lighting system having forty circuits on this alone. Behind it are two modern dressing rooms and modern half-tiled toilets. At the side of the stage are two fireproof doors which together with the latest type of safety curtain can completely isolate the stage from the auditorium in case of fire. A new public address system has been installed comprising three stage microphones and two pedestal microphones which are linked to eight loud-speakers in the auditorium which will be used for lectures, conferences and plays. A secondary lighting system will automatically cut in should, for any reason, the main supply fail. There is a unique system of auditorium lighting… four 500 watt floodlights are beamed on to the tabs at the front of the stage which reflect a subdued light back into the auditorium. Eight stage floodlights sited on the walls of the auditorium can be adjusted for stage use or can be beamed on to the ceiling which will reflect the light downwards should it be required. A false ceiling has been fitted with ventilators set into it. Heated or cold air can then be circulated by the air-conditioning system. A thermostat at the rear of the balcony measures the mean temperature and sends electrical impulses to the main motor to control the temperature. New BTH Super Mark II projectors have been installed for showing films and stage lighting by the Rank Organisation. Instead of the previous 450 seats, there are there are now only 312 because more leg room has been allowed between the tiers. The seats are of foam-filled stretch brushed nylon on seats, backrests and arms, and the old, straight rows have speakers been replaced by curved tiers which give better viewing of the stage or screen. The new carpeting is an exclusive design created for the Scala by the architect, Mr. M.B. Kennard Longfield in orange and brown, the two colours predominant in the fresh colour scheme. The main stage tabs are in orange satin and the seating in brown. Wood has been used lavishly in ornamentation and all handrails are of polished wood. The conference room above will accommodate eighty people and, it is hoped to use this room for a Cinema Club on Sundays where specialized films, not generally released, can be shown to members. The conference room will be open when the Scala is being used in its role as a theatre and refreshments will be provided there in the intervals. The foyer will have a different display of flowers each week, all from the council’s open nurseries. The front of the new building is tilled and this should prevent anybody from writing on the walls, a hazard in the past. The manager is Mr. Christopher “Sandy” Sanderson of Elmsway Drive who has been with the Scala for forty five years, most of them as manager. He describes the changes as “‘Fine!”. With the advent of this new building many possibilities open up for Prestatyn… opera, ballet, pantomime, exhibitions, lectures and a host of other activities which would otherwise necessitate travelling out of the town. We wish Prestatyn every success with this newest of its ventures! The advert which accompanied the Gazette article. From the Gazette Newspaper, published August 19th, 1966, copy courtesy of Daniel Graham-Jones.